Phosphorite in its host rock. 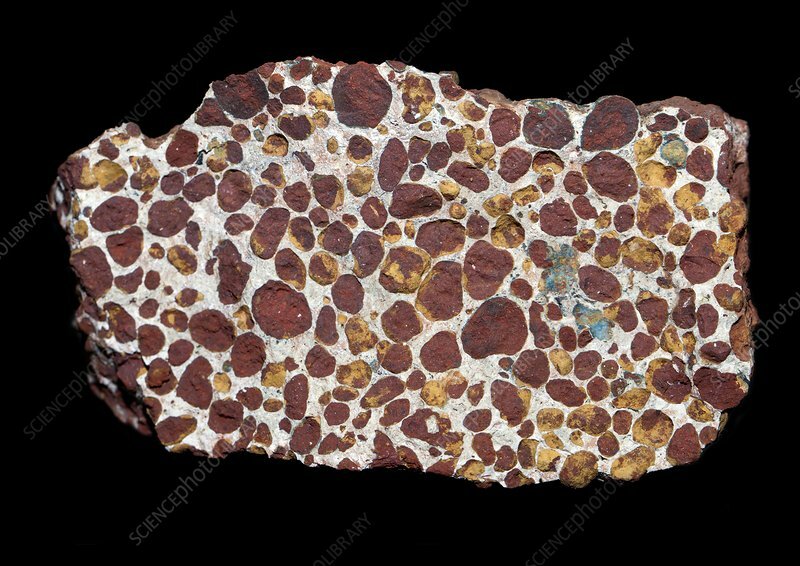 Phosphorite (dark red spots) is a sedimentary rock that contains high levels (at least 20 per cent) of phosphate-bearing minerals occurring in nodular or compact masses. The phosphates originate from a variety of sources such as bird droppings and animal faeces. Here, the phosphorite occurs as round pellets (red), which are most probably fossilised animal faeces (coprolites), in a calcium rich matrix (white). This specimen was found in northern Brazil, and measures 12cm wide.